In My Mailbox is a weekly meme hosted by The Story Siren in which bloggers spread the word about new releases and the books they plan to read by posting about the books they receive in their mailboxes (or at the bookstore, from the library, etc.) each week. 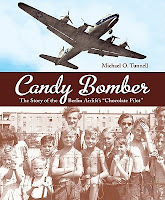 This is a true story of chocolate, bubble gum, and hope. World War II was over, and Berlin was in ruins. US Air Force pilot Gail Halvorsen wanted to bring some happiness to the children of the city - but what could one man in one plane do? 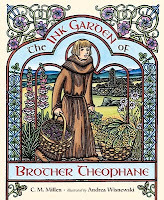 The Ink Garden of Brother Theophane by C.M. 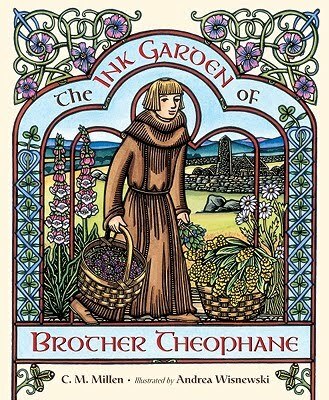 Millen, illustrated by Andrea Wisnewski. (Charlesbridge, July 2010). 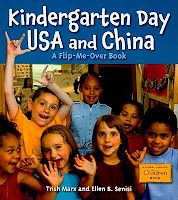 Kindergarten Day USA and China: A Flip-Me-Over Book by Trish Marx and Ellen B. Senisi. (Charlesbridge, July 2010). With bright color photos, this book looks at a day in an American kindergarten. 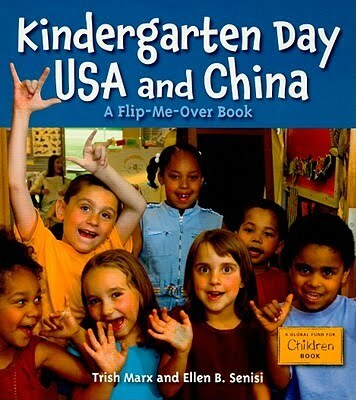 Flip the book over and you see a day in a Chinese kindergarten! And that was my mailbox this week! What did you get in your mailbox?